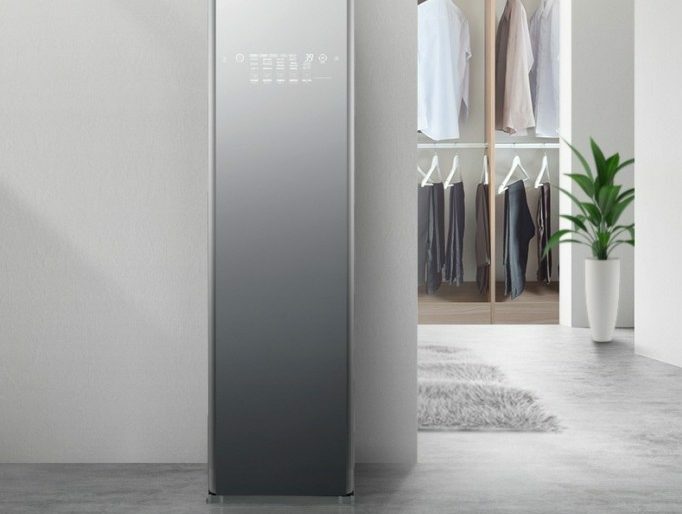 One of the standout new creations from this year’s Consumer Electronics Show is the LG Styler Black Tinted Mirror Glass Door wardrobe. LG is always capable of surprising us with its inventive lifestyle-product acumen, frequently giving rise to the common response of financially-freewheeling gadget-lovers: ‘I didn’t know I needed it until I saw it.’ And this smarty-pants wardrobe fits the pattern beautifully. Making short work of taking good care of one’s finer clothing pieces, the smart wardrobe is well-designed, with LG’s understated cosmetic-tech visuals and practical functions; its slim, narrow build, and the full-disclosure black-tinted glass door are discreet and just revealing enough, respectively. It is of course equipped with enough flashy tech to earn the unit its ‘smart’ stripes, with SmartThinQ and Smart Diagnosis handling remote ops and operational trouble. TrueSteam technology able to remove wrinkles and unwanted odors, but it also rids garments of more than 99.9-percent of bacteria and germs. It’s especially great for those who suffer from asthma or allergies. Even more impressive is the wardrobe’s ability to refresh four items at a time without the use of a steamer or iron. Marvelous. And, if this Styler isn’t quite big enough (and we know there are more than a few clothes horses reading this), you may be more interested in the larger capacity model. That unit can accommodate five garments on hangers and a pair of pants.